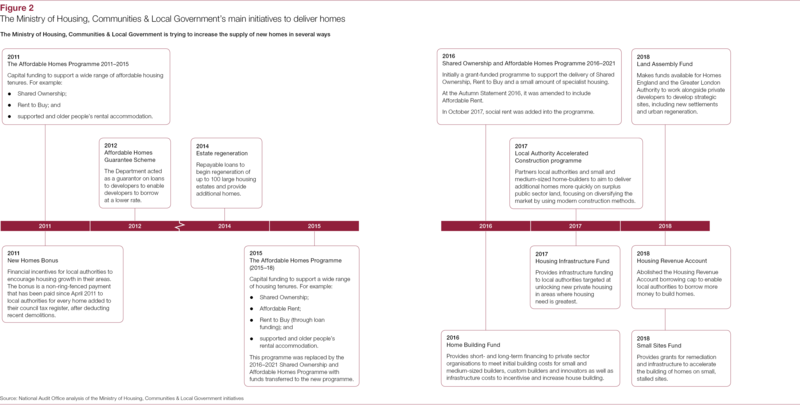 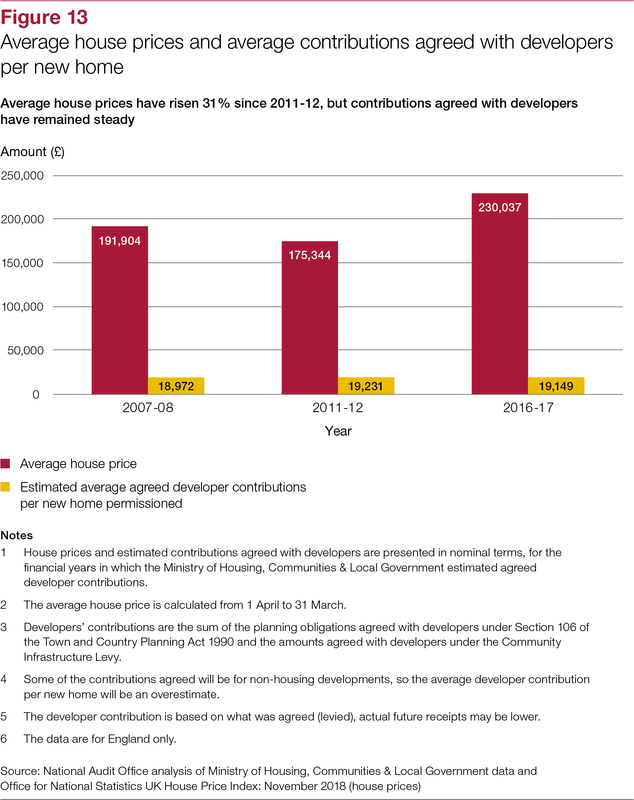 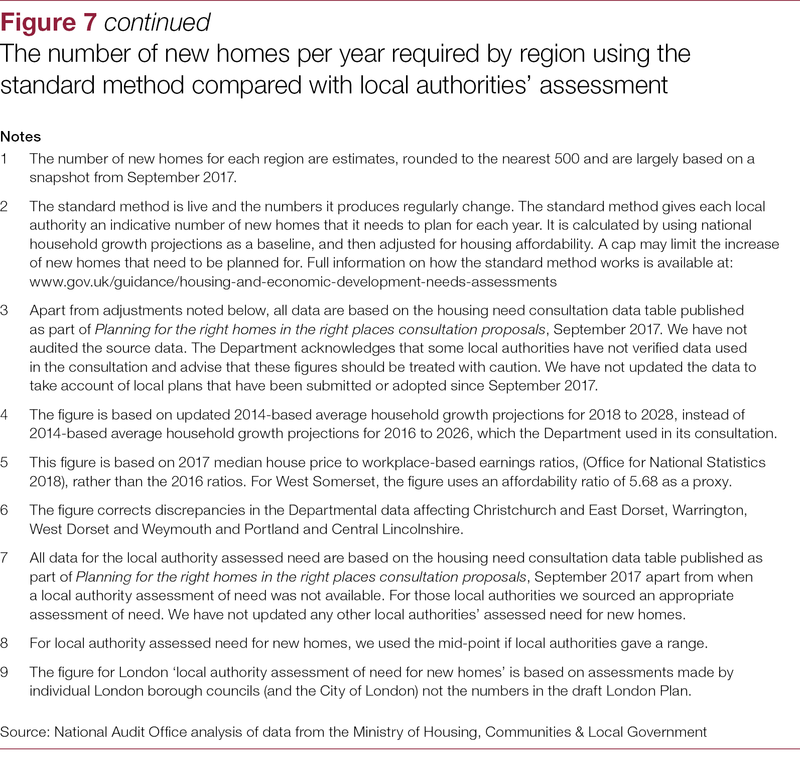 The Ministry of Housing, Communities & Local Government’s (the Department’s) objective for housing in England is to: “support the delivery of a million homes by the end of 2020 and half a million more by the end of 2022 and put us on track to deliver 300,000 net additional homes a year on average”. 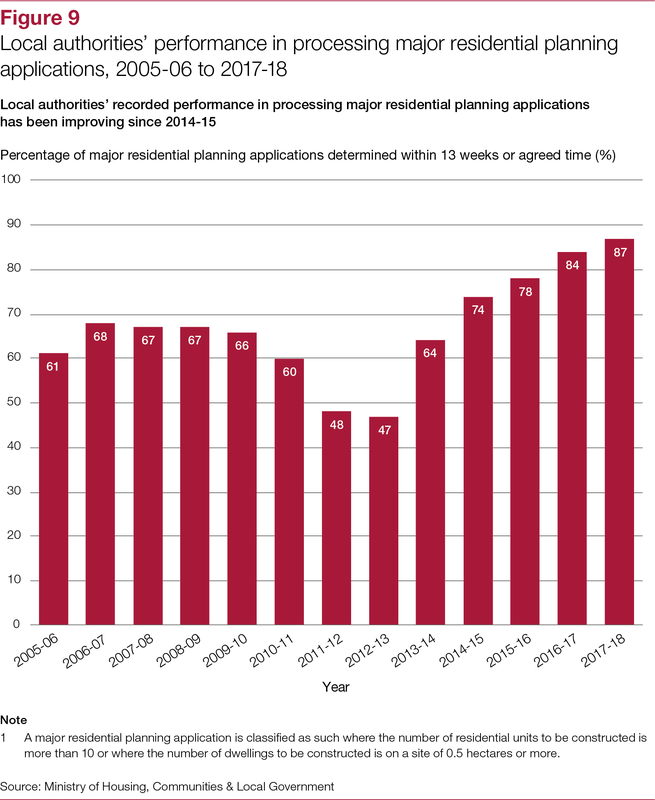 The Department has implemented a range of measures to achieve this, including reforms to the planning system. 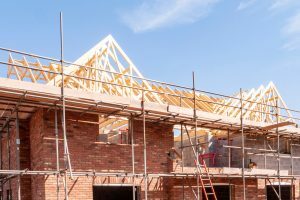 The planning system is vital to providing new homes as it helps government and local authorities to determine how many, where and what type of new homes are built. 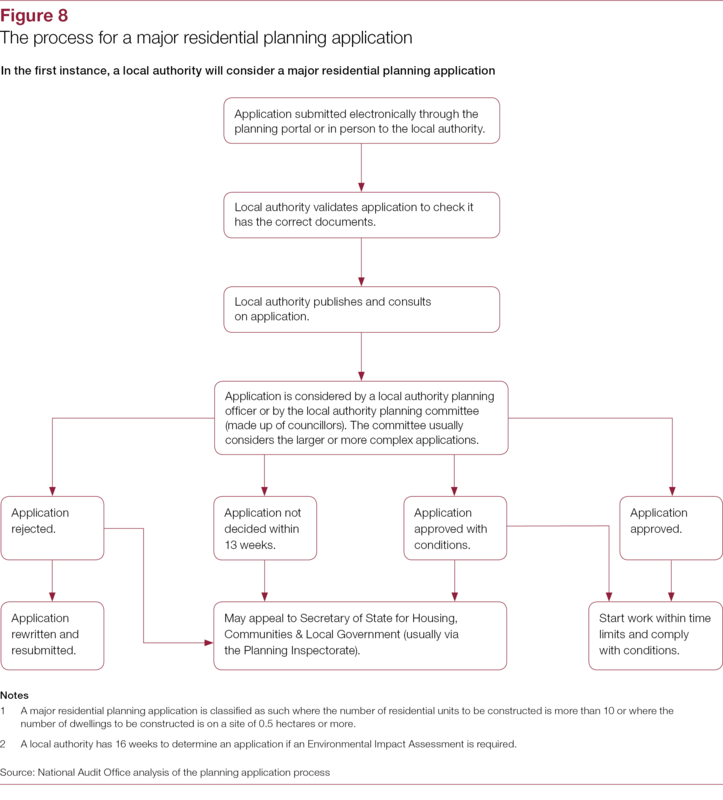 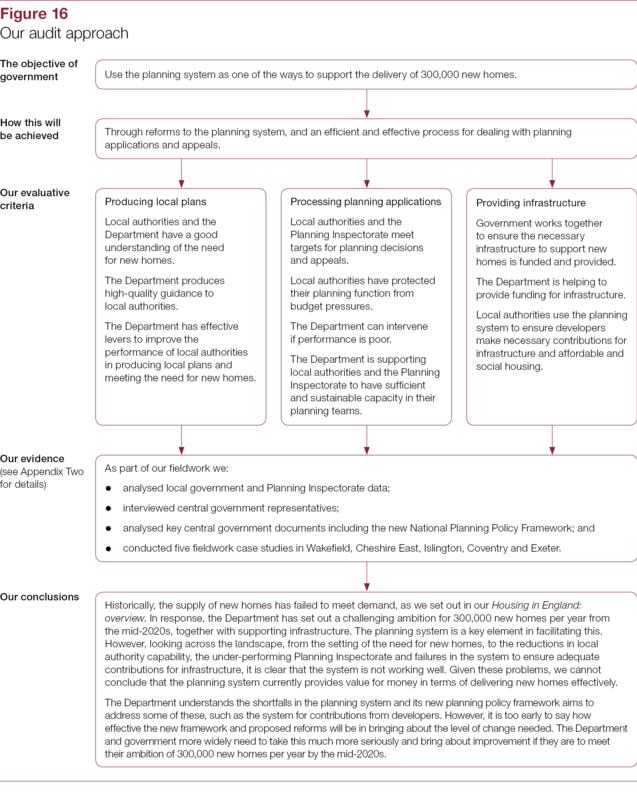 The planning system also helps to identify what areas need to be protected or enhanced and to assess whether proposed development is suitable and will benefit the economy and communities. 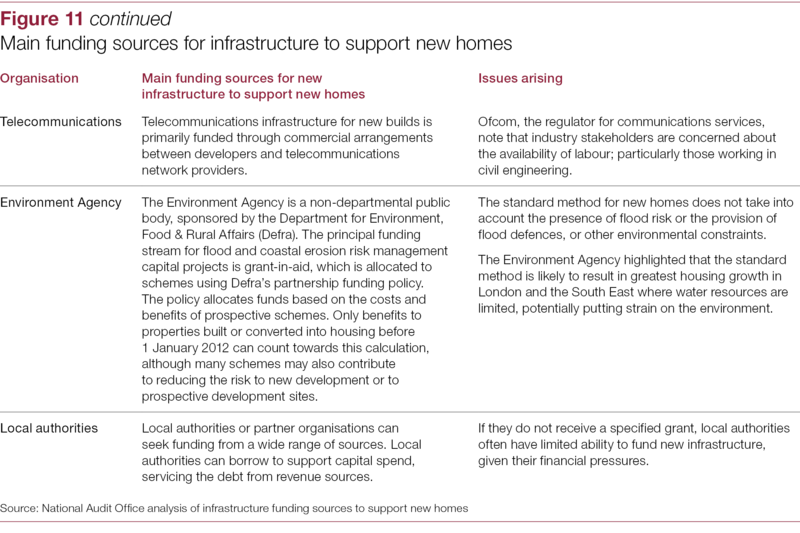 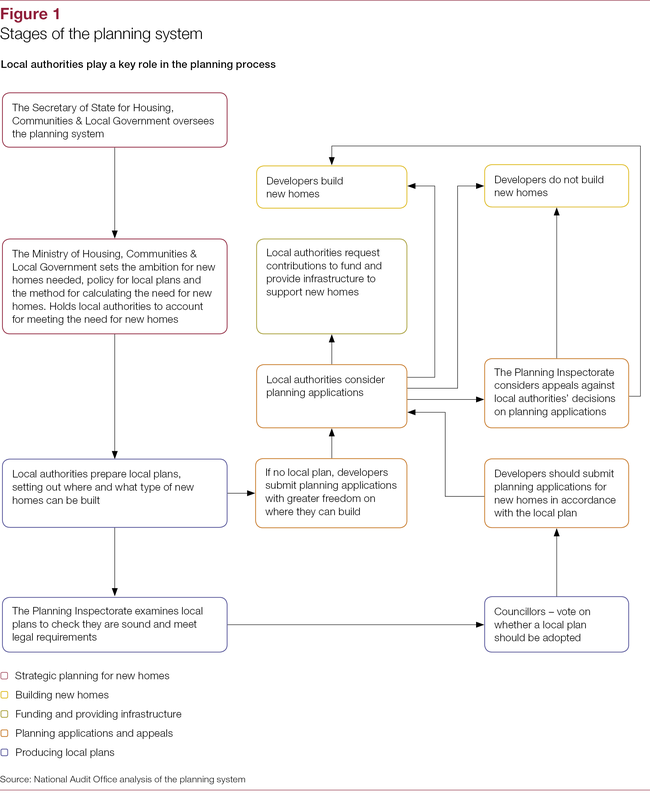 working effectively with local authorities, other government departments and developers to ensure infrastructure to support new homes is planned and funded. 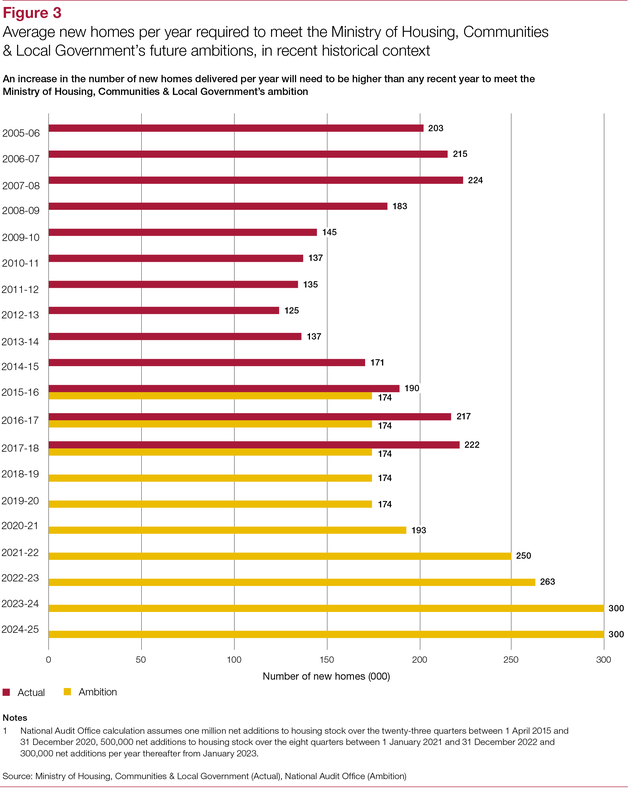 Historically, the supply of new homes has failed to meet demand, as we set out in our Housing in England: overview. 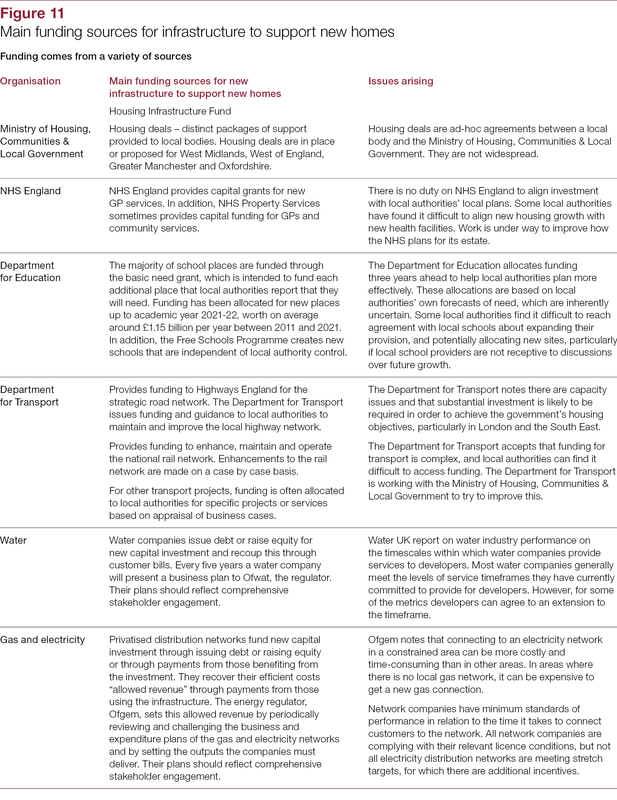 In response, the Department has set out a challenging ambition for 300,000 new homes a year from the mid-2020s, together with supporting infrastructure. 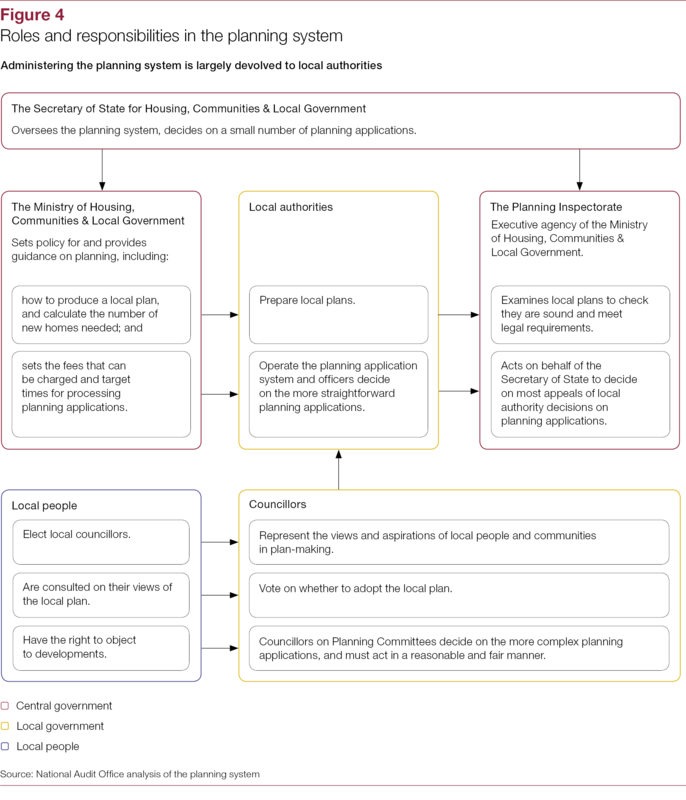 The planning system is a key element in facilitating this. 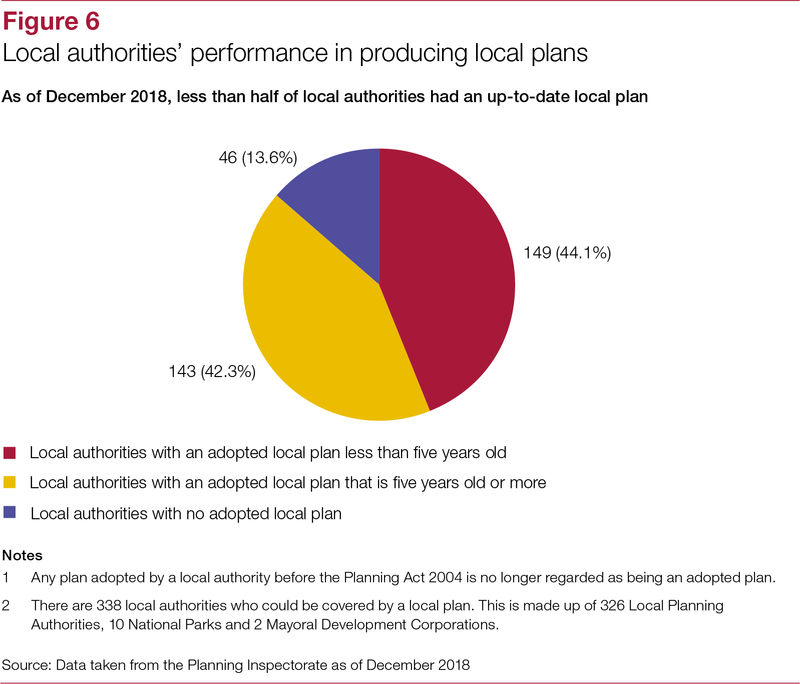 However, looking across the landscape, from the setting of the need for new homes, to the reductions in local authority capability, the under-performing Planning Inspectorate and failures in the system to ensure adequate contributions for infrastructure, it is clear that the system is not working well. 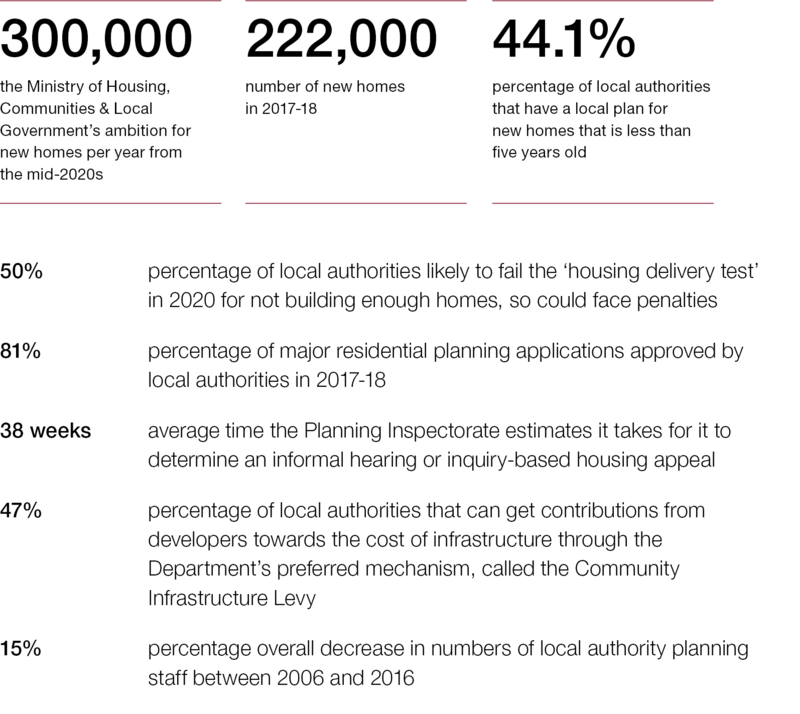 Given these problems, we cannot conclude that the planning system currently provides value for money in terms of delivering new homes effectively. 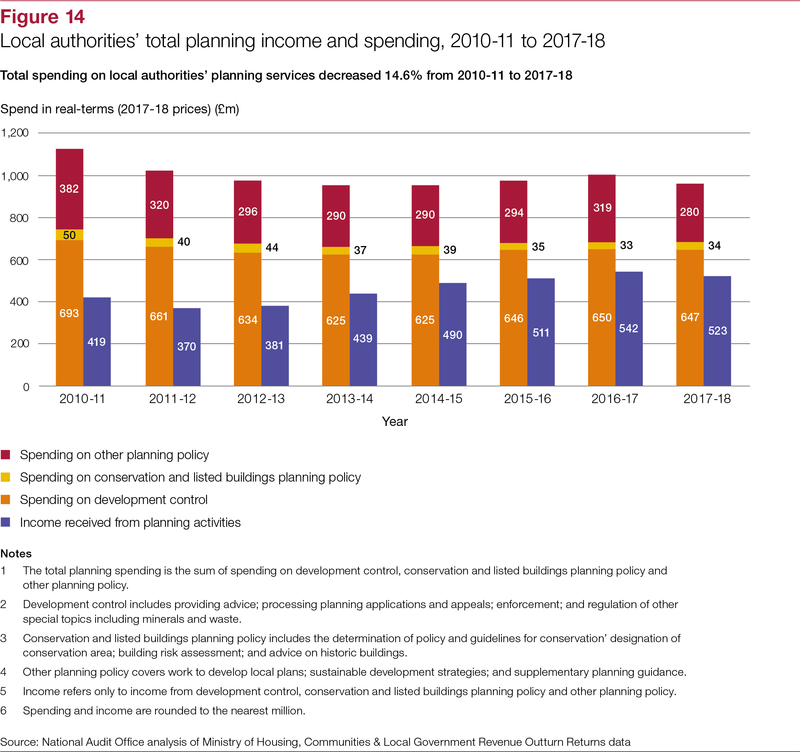 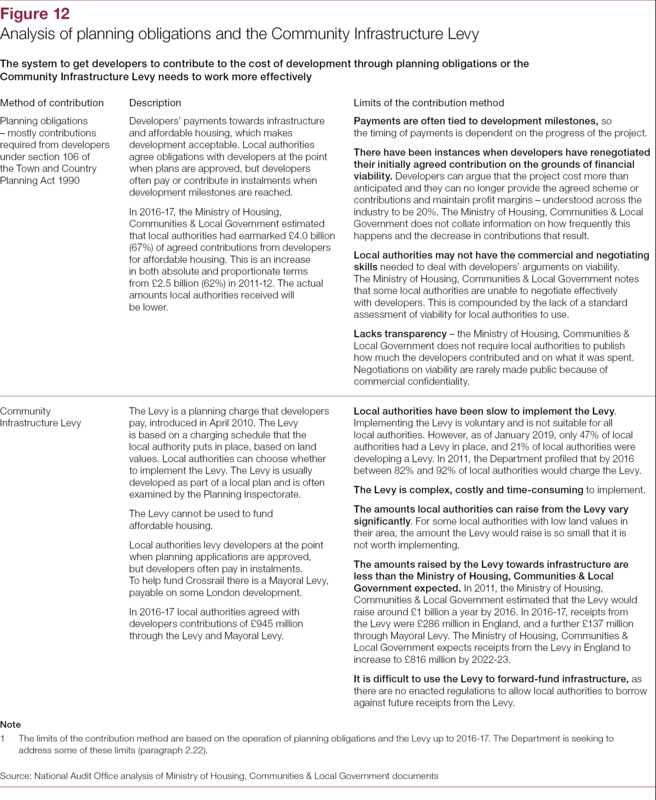 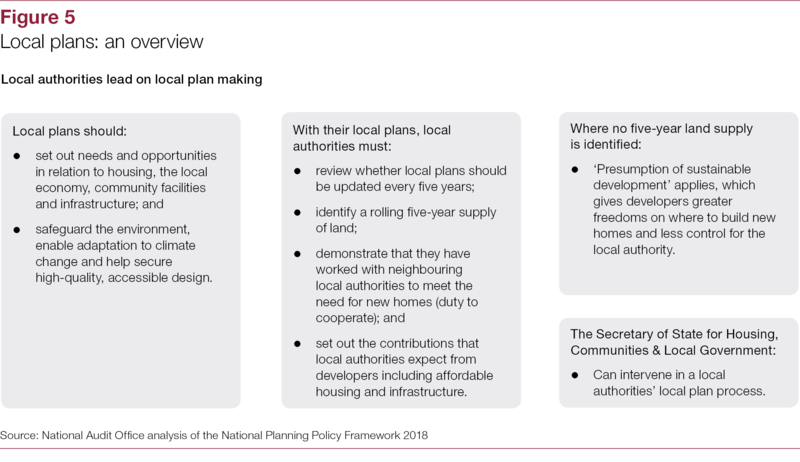 The Department understands the shortfalls in the planning system and its new planning policy framework aims to address some of these, such as the system for contributions from developers. 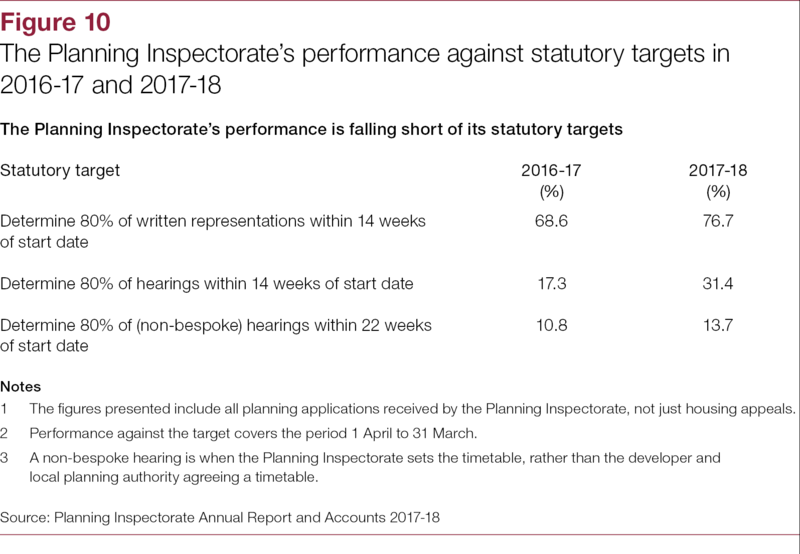 However, it is too early to say how effective the new framework and proposed reforms will be in bringing about the level of change needed. 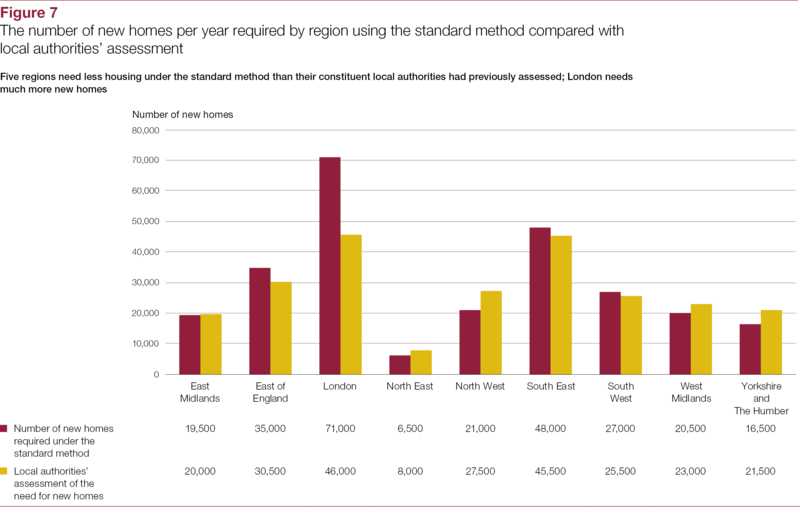 The Department and government more widely need to take this much more seriously and bring about improvement if they are to meet their ambition of 300,000 new homes per year by the mid-2020s.